2008 Quail Show - Webb With Robert Graham In front of Peter Mullins' 1938 Delage D-8 120. 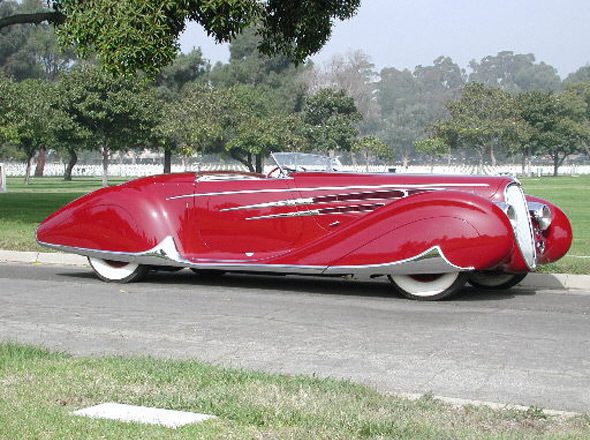 That was once owned by Howard Hughes and in the Movie American In Paris with Gene Kelly. 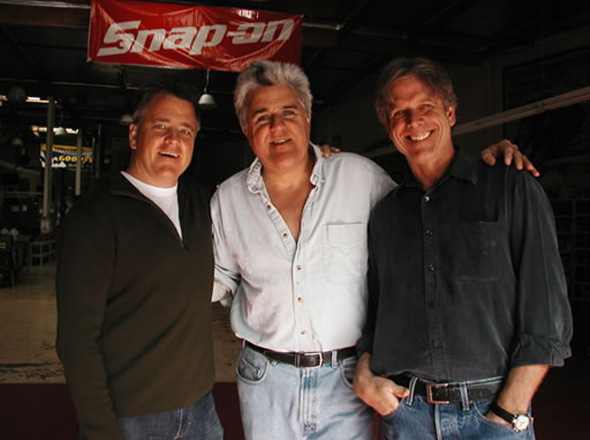 Webb pictured here with Jay Leno at his personal Car Collection. 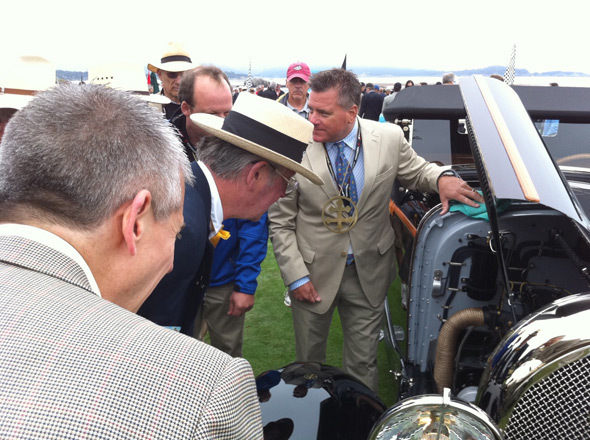 Webb With The Judges 1928 "Lorraine- Dietrich Cabroliet"
The only one built in the world for the 1939 Worlds Fair. 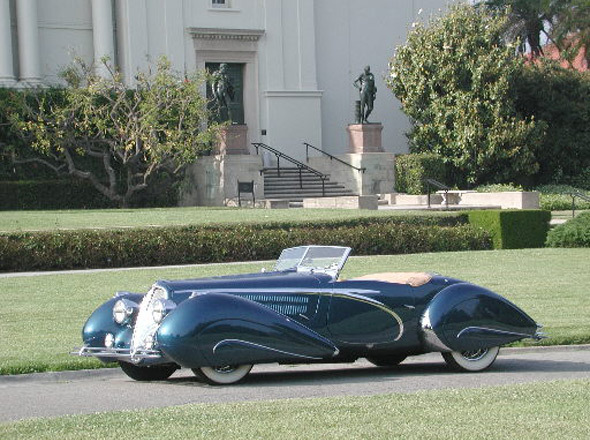 Best of Class Winner at The 2006 Pebble Beach Concours D’Elegance. 1954 Aston Martin DB 2/4 Bodied by Swiss Coach builder "Graber"
The only one built in the world for the Maharaja of India. 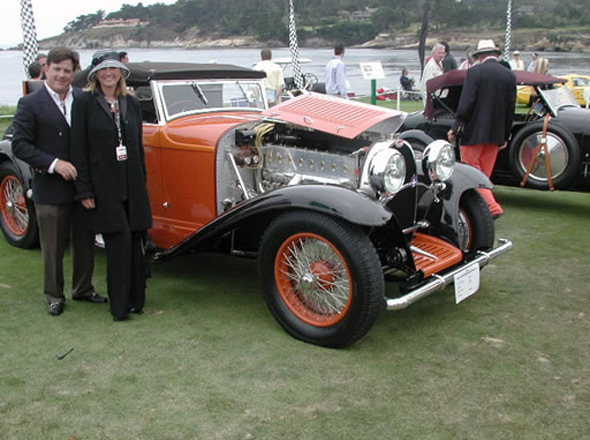 Webb and Renee Farrer at the 2006 Pebble Beach "Concours d' Elegance". 1st Place in Class ! One of only 9 in the world! 1st Place winner at the 2005 Pebble Beach Concours D’Elegance. 2009 Goodwood Concourse at the "Cartier Style Et Luxe"
Webb discussing the history of the 1938 Hispano Suiza Dubonnet Xenia. With The Judges. We Won "Best Of Show"
"Best In Class" in Prewar Racing Class. Webb with Peter Mullin and David Chamberlin. 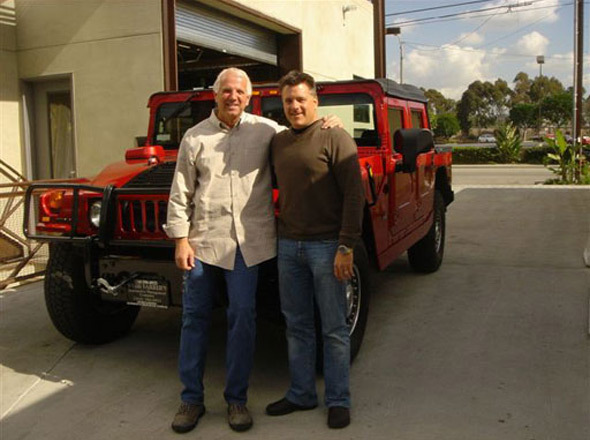 Webb helped Ed Hogan with the purchase of his 2005 Phantom Centennial Rolls Royce. One of 35 built in the world! 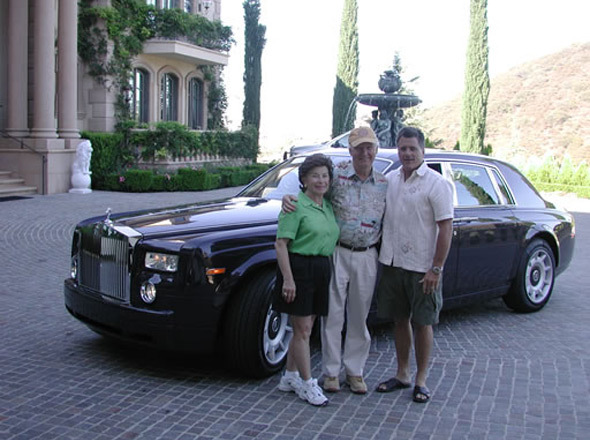 Here we are on the lawn at the 2004 Pebble Beach "Concours d’Elegance".